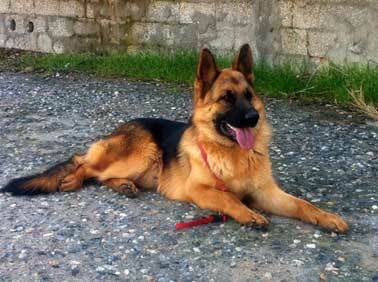 Hallo, we are Mike and Artemi and we have this beautiful and very clever gsd. It is 10 months old and his name is OSCAR. Thank you for giving us the chance to take part in this contest and we wish good luck to all the dogs. Mike and Artemi, Thank you both so much for sharing your great story about your new German Shepherd puppy Oscar. He is just gorgeous! Thanks for sending in the picture - I hope you’re doing well with Oscar right now too. There’s nothing like a new German Shepherd puppy to help you pick up your spirits and keep you happy.